Fall Sports Season is wrapping up with excitement! The Fall Sports Season is wrapping up with amazing excitement! • The girls golf team finished 10th in the State! Congratulations girls! They were also named the MSL, Sectional and District Champs this season! So much school history made with the girls golf team that was only established just two years ago! • The boys varisty football team has a chance to win the MSL for the first time in 28 years! Bulldog Nation is cheering for you! ~ Much more to come from these boys as they finish out their regular season. • The boys soccer team recently won the MSL title. Devin Heiberger was named MSL Soccer Player of the Year. • A big-shout to the girls soccer team. They finished 2nd place in the MSL! • Drew Monahan was named the MSL champion in Cross Country. Drew and his teammate, Abby Matthews, are currently ranked in the State! • Stephanie Graham was named MSL Player of the year in Tennis! As of today, we have a total of 16 1st Team MSL Players this fall season ~ and we are not done yet! We will keep you updated as the post-season awards keep coming in! 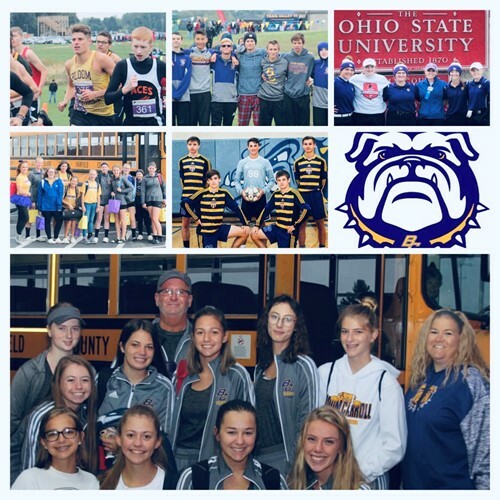 Good luck to all Bulldogs!